England and Wales’ cost effectiveness watchdog NICE has rejected Opdivo for use against advanced head and neck cancer in draft guidance – before the drug has even been given final European marketing approval. NICE last year pledged to begin appraising all new cancer drugs before they gained final marketing approval, and this policy has now resulted in Bristol Myers Squibb’s immunotherapy being given a preliminary rejection before it has even reached the market. The European Medicines Agency’s CHMP committee recommended Opdivo (nivolumab) in head and neck cancer last month, with final EU approval expected within the next few months. NICE and BMS still have time to come to an agreement before a final decision is due – which patient groups and leading UK cancer clinicians are urging – and this means BMS is under pressure to lower its price. As the drug hasn’t been approved in this indication yet, its price hasn’t been made public. However its UK list price in non-small cell lung cancer (NSCLC) means an average course of treatment for these patients costs around £30,000 ($37,235). 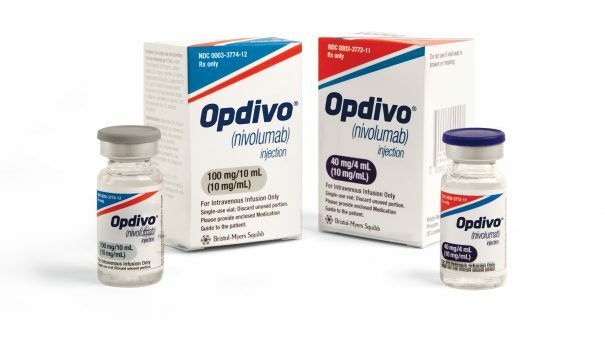 NICE approval is important for BMS and Opdivo, which is in a race with Merck’s rival Keytruda (pembrolizumab) to establish market dominance in immunotherapy. Keytruda looks set to eventually win this prize thanks to its approval in first line NSCLC, which means BMS will need to make the most of its lead in head and neck cancer. BMS and patient groups have been swift to criticise NICE’s decision, pointing to data showing the drug has achieved the greatest increase in survival in head and neck cancer in 20 years. The company’s pivotal phase 3 trial in patients with platinum refractory advanced head and neck cancer showed that more than double the number of patients on treatment were alive at one-year compared to chemotherapy. While this sounds impressive, this translates into an extended median overall survival of only 2.4 months (7.5 months for Opdivo vs. 5.1 months on chemotherapy). Set against its much higher cost than chemo, NICE has concluded that this isn’t enough for it to recommend the drug. NICE is also due to meet tomorrow (Wednesday 12 April) to produce a final recommendation on Opdivo in second line treatment of NSCLC. NICE has indicated that Opdivo should be only made available through the new ‘managed access’ Cancer Drugs Fund, but these plans looks to be in doubt, with BMS saying the drug may not be available at all for NSCLC patients. This will be in contrast to Merck Sharp & Dohme’s rival treatment Keytruda, which was approved in the same indication in December after the company cut its price. 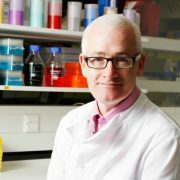 Professor Kevin Harrington led the UK arm of the phase 3 clinical trial of the drug in advanced head and neck cancer. 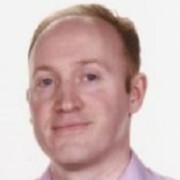 He is Professor of Biological Cancer Therapies at The Institute of Cancer Research, London, and Consultant Clinical Oncologist at The Royal Marsden NHS Foundation Trust,and called the decision “disappointing and frustrating”. He says that Opdivo is an expensive drug, but is also the only treatment shown in a phase 3 trial to improve survival for this group of patients – and points out that it did so without worsening patients’ quality of life, and with fewer side-effects than other options. His colleague Professor Paul Workman, Chief Executive of The Institute of Cancer Research, London, echoed this sentiment. Professor Workman is one of the UK most outspoken cancer clinicians, and regularly emphasises the need for pharma to lower its prices – and for NICE to give innovation greater leeway. “I’d urge NICE and the manufacturer to work together to reach an agreement on price so that this decision can be overturned as soon as possible. NICE’s committee concluded that the data suggested patients who expressed the PD-L1 biomarker ‘1% or more’ showed a clear benefit, while those with a PD-L1 of less than 1% was ‘uncertain’. This could open the door to an approval in these PD-L1 positive patients only. This is however a thorny issue for BMS, which is pursuing an ‘all comers’ strategy for Opdivo, in contrast to Merck’s Keytruda and Roche’s Tecentriq. The company therefore declined NICE’s request to provide a cost-effectiveness analysis according to PD-L1 expression. The consultation on this draft decision runs until early May, with NICE’s next committee meeting scheduled for 31 May.